Hey all. Been lurking for a while. 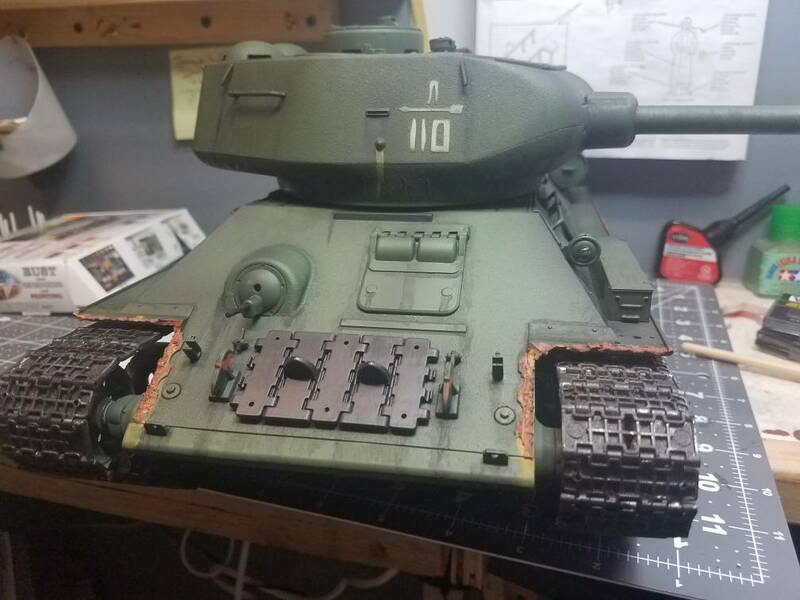 Wanted a rc tank for a long time finally got one. Yay! 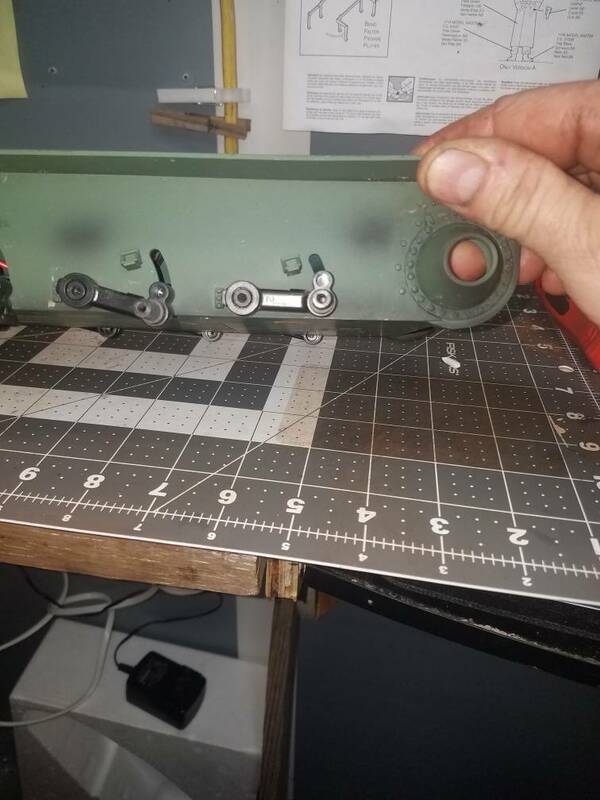 Been in rc crawling and bashing for quite awhile and modeling afvs for longer. Heng long t34 85 nothing all stock except paint. For now anyway. Its the airsoft version but eventually itll have ir. well here is all i got done. 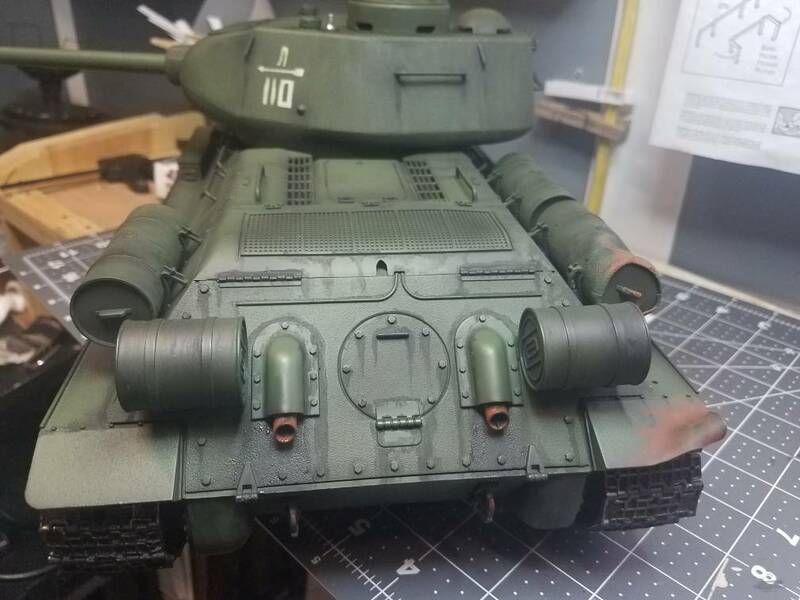 made it dirty and abused as a russian tank should be. Should give you some ideas to try out. Looks good,great start I like the subtle damage effects. Good deal, those Russian tankers couldn't drive for beans anyway so that's where the fenders went!! thanks. folks. in michigan usa ill check out forgebear. The thing about shipping to the USA from Europe means that because the VAT that we in Europe get charged at 19% is not charged to sales outside of the EU this makes the total cost---Postage versus Tax about the same so the actual price for the item is going to be about the same either side of the Atlantic. I enjoy ordering from Dave for my Taigen upgrades. His website is much easier to navigate IMHO. His prices are very competitive and I'm many cases less expensive than some US vendors. ( even if the VAT was added). His shipping prices are exceptional too. He is very responsive and although I'm here in the states I get my orders just as quickly as the US suppliers. Yeah i checked out the turrets from forgebear probably order one this weekend after the wife gets her share of my paycheck (majority of it). 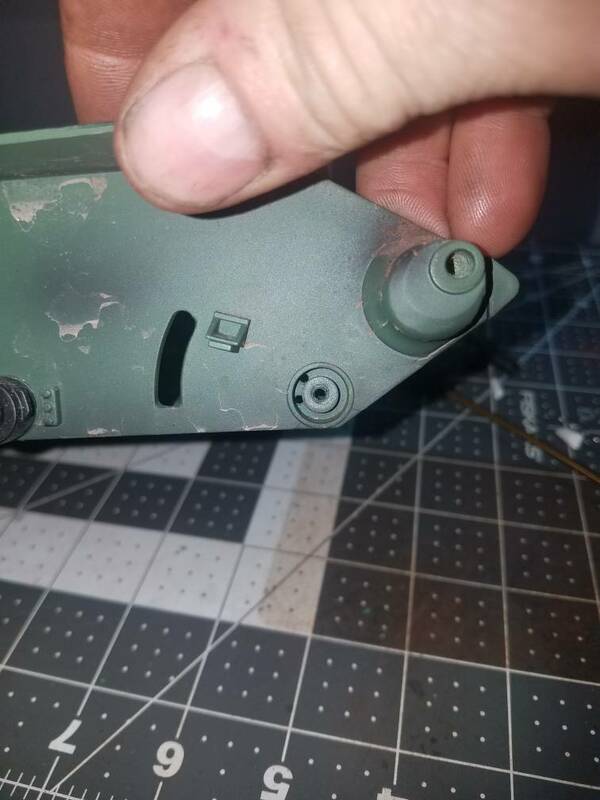 I didnt realize how reasonable prices are on r/c tank stuff. Thanks for the info guys. Havent had time to do anything else with tank but look at it for a few minutes. Ideas are filling my head along with all the info from these forums. Welcome to the Forum. Your Mancave betrays all the classical signs of modelling mania, and the battered and bruised T34 just confirms it. 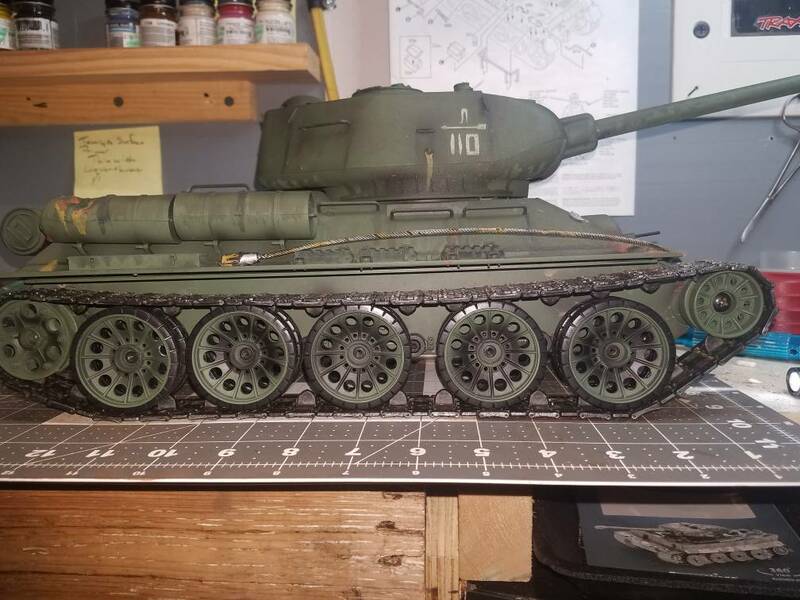 We will look forward to the T34s progress in pics, as well as the fleet of additions that will almost certainly follow on from it. Off to a great start, you've done a fantastic job with the battle damage and streaking/weathering. 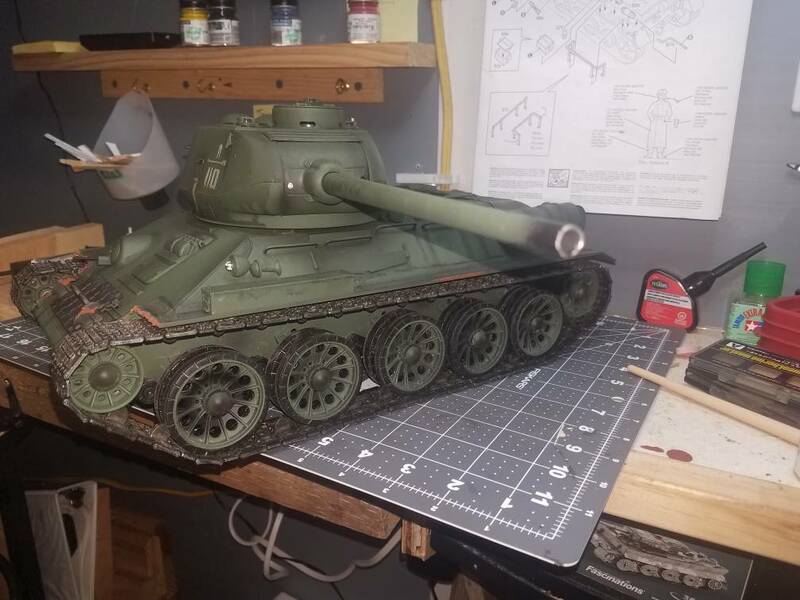 The Heng Long T-34's a pretty damn good runner straight out of the box, and it looks the part too. The only problem it has is that the road wheels sit too low; ideally, the tops of the idler, road wheels and sprockets should be in a more or less straight line. You just need some small spacers to sit at the bottom of the suspension arm slots to limit their travel by a few millimetres or so. Herman used brass tube in his (you can see it here), but anything will do. 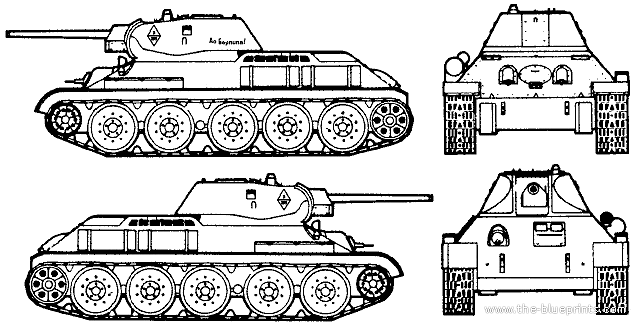 It's an easy fix and really emphasises the T-34 that low, mean silhouette. c.rainford73 wrote: I enjoy ordering from Dave for my Taigen upgrades. His website is much easier to navigate IMHO. His prices are very competitive and I'm many cases less expensive than some US vendors. ( even if the VAT was added). His shipping prices are exceptional too. With a piece of sprue from a Stuka it seems to be at about the right height. I think. Hmmm. What about drilling different holes for the spring. You would still have room for droop then. Nice. Now i have to put a log on it to. Much better. Drilled a hole staight across from the top hole. Next question. Will the slack cause an issue running?